English: The White House Entrance Hall facing northwest, in a photograph by Zhen-Huan Lu. The photograph was used in the 2002 White House holiday greeting card. 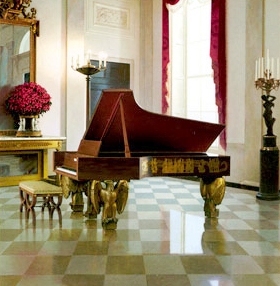 The grand piano was built by Steinway.